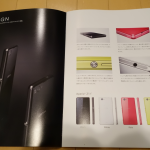 Xperia Z1 f SO-02F, younger sibling of mighty Xperia Z1, marked its presence a while ago in Japan ( on 10 October ) but now NTT DoCoMo Japan has officially listed it on their website with a release date of 19 December 2013. 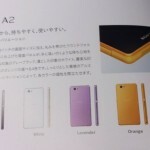 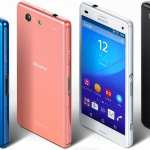 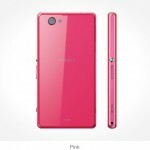 Xperia Z1 f SO-02F will be available in 4 colors viz. 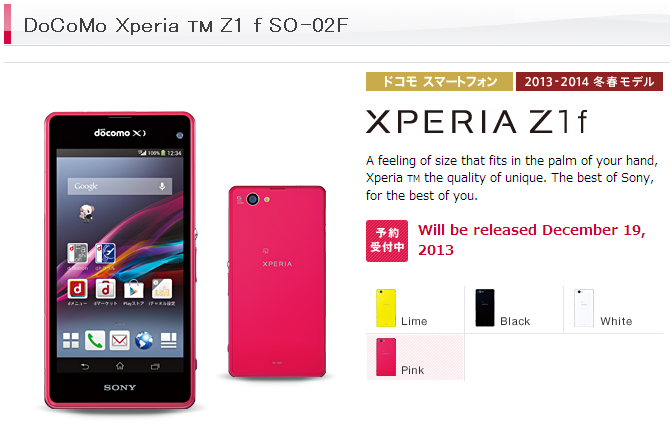 Black, white, pink and lime as mentioned on NTT DoCoMo Japan’s site. 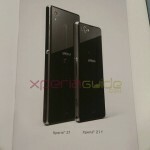 Xperia Z1 f SO-02F features almost similar specifications of Xperia Z1 except for a smaller screen size, battery power. 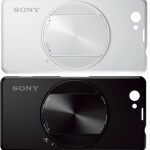 While in the Japanese version of Xperia Z1, IR Blaster was also seen which is truly missing from global versions of Xperia Z1. 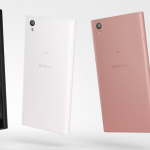 So all Xperia fans from Japan, get ready Xperia Z1 f is coming to your region very soon. 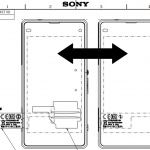 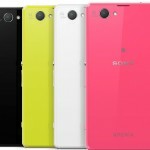 It is speculated that the global version of Xperia Z1 f which was recently seen in some alleged images as Sony D5503 may mark its presence officially during CES 2014. 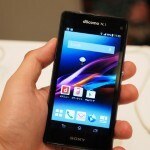 We will keep you updated as soon as it comes.